Palomar Health’s naming opportunities allow us to thank and recognize donors – whether they be individuals, corporations, foundations or organizations – with a lasting tribute. You can have a sign made in the name of your family or the memory of a loved one. Secure your philanthropic legacy through a Palomar Health naming opportunity. 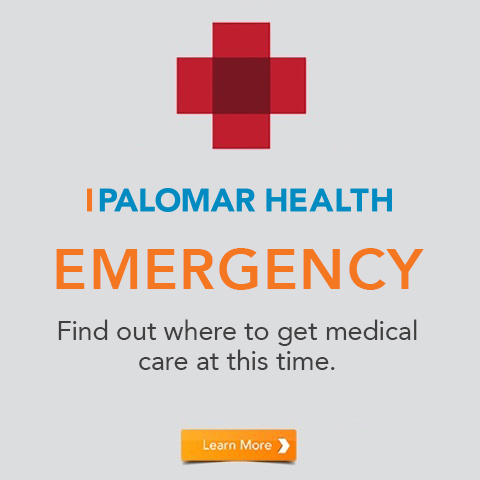 Naming opportunities begin at $10,000 for a plaque or signage, prominently displayed in a special area, room, wing or building of one of Palomar Health’s numerous facilities. The Foundation staff can help you select an opportunity that is meaningful to you. Please call 760.739.2787 to discuss your options.